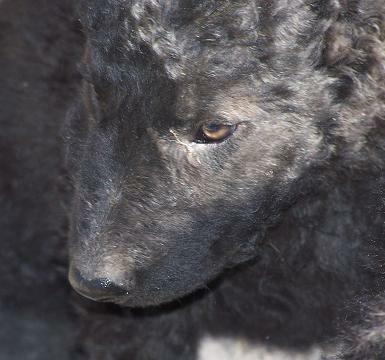 This is a puppy from the above litter of 6. As I mentionned, some have tails, others don't. This one was a male with a tail, beautiful head, very characteristic eyes. 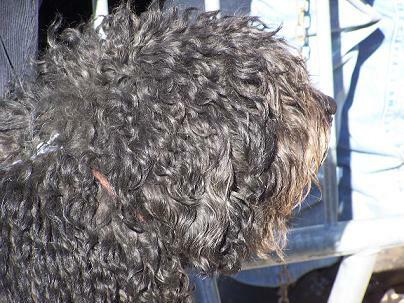 A bit of a pointy nose, which is part of the original breed.Thelma has inherited that characteristic among others. 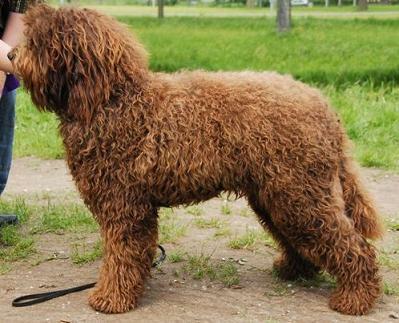 I am particularly proud of her as she is a descendant of one of the purest Barbet bloodlines of the 3 that exist (according to Mrs Inge Fischer). I have prouven that. So, blethering about Gratius, Arrien, Oppien, Aristole and whomever to make one sound important or cultivated is really taking people for idiots. This is real....life. Not a dog show. Remember one thing that is vital for understanding the mentality of a shepherd:the pups are never sold, they are given...don't expect to find one, unless it has been abandoned. 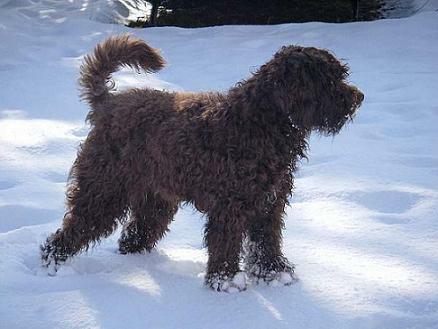 That is, most assuredly what happened with several dogs found and used as TI Barbets. One accepts or refuses that fact, is beside the question. 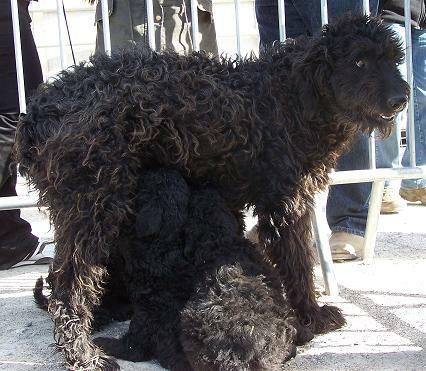 No one who knows anything about Barbets could say that this dog could not be a Barbet...except it IS a Chien de Crau. Yes she has a tail that touches her hocks. She was terrorized so it was impossible to touch her. 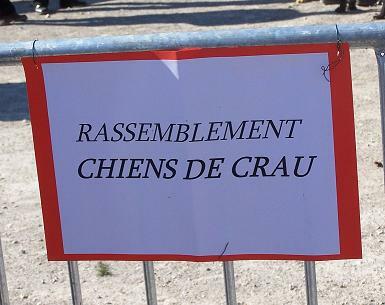 There are many of you coming to my site now to see some of the "famous" chiens de Crau... Let me say that I am absolutely delighted with what I saw today. Absolutely delighted. 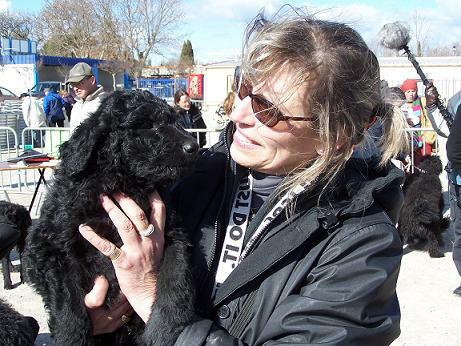 The Barbet de Camargue is bloodline 2 of the Barbet Français as it was redipped with a local breed, the chien de Crau. All this information is documented and prouvable at the French SCC. It was just a matter of looking for it.It is absolutely not a subject for any debate. These are facts.Period. 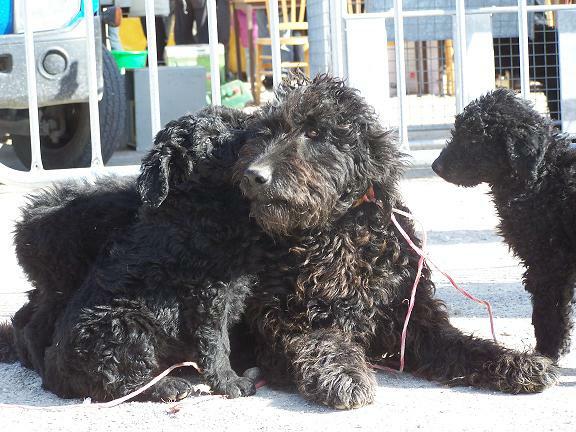 Female chienne de Crau with 8-week old pups. Some have tails some don't. 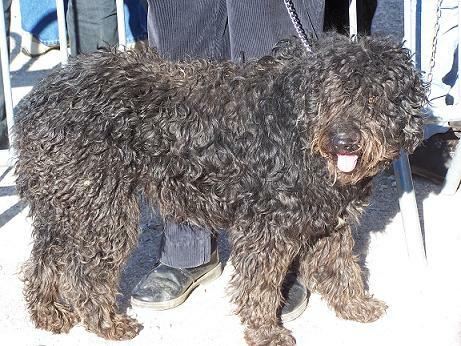 All have the wooly curly coat. Everyone was there...needless to say! The SCC was well represented.Even FR3, French TV.